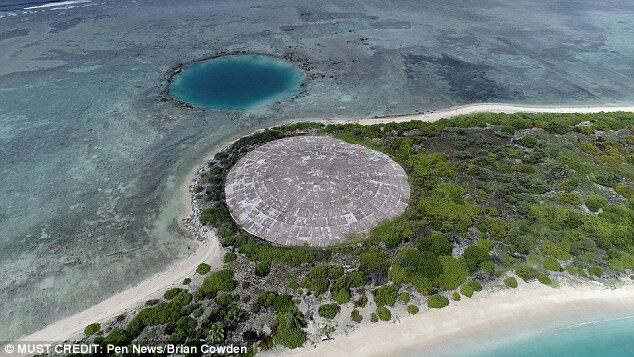 A concrete dome holding the radioactive waste of 43 nuclear explosions is leaking into the ocean, veterans have warned. The Enewetak Atoll was used by the US government to test 30 megatons of weapons – equivalent to 2,000 Hiroshima blasts – between 1948 and 1958. More than 8,000 people, including US troops, would later work to clean up these Pacific islands, shifting 110,000 cubic yards of contaminated soil and debris into a blast crater. This 30-foot-deep crater on Runit Island would then be entombed in a concrete dome, 350 feet across and 16 inches thick. But now, with the dome weathered by decades of exposure, it’s feared that rising seas and storms could see radiation leaking into the ocean. And many of the troops who headed to the middle of the Pacific Ocean to clean up the fallout from nuclear tests, often without protective gear, between 1977 and 1979, are now plagued with health issues as a result – with the US government refusing to pay for the care. Paul Griego, who took part in the cleanup and blames the radiation for a host of health problems, said the dome was never fit for purpose. He said: ‘We were given an impossible task – cleaning up the radioactive fallout from 43 nuclear bombs. He continued: ‘No attempt was made to drain the crater or line it before the radioactive waste was dumped into it. 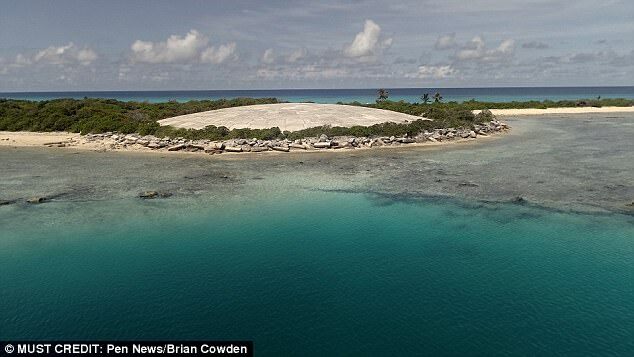 ‘The coral that created the island is porous and the shock from numerous nuclear weapon tests had also fractured the coral. The storms were only making matters worse, he said.